FIFA 16 Mobile will bring major changes to the franchise on smartphones and tablets. The game will be called EA Sports FIFA and will no longer have annual releases. The title will receive only periodic updates. 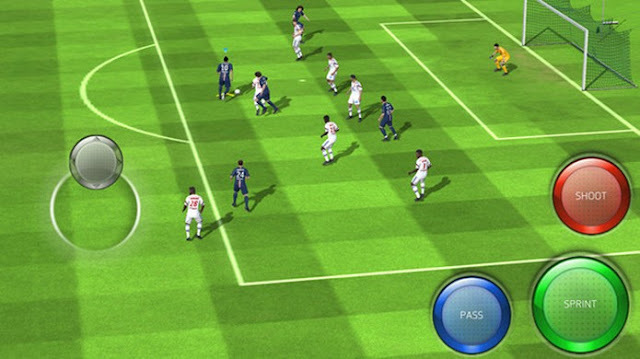 The new version of the football game will be launched on September 22 for iOS and Android devices. EA Sports FIFA will be free and will feature micro-transactions. This means it will be possible to keep items that player’s buy, without having to start from scratch every released version. According to producer Electronic Arts, the game will be as a service. Smaller and regular updates 6-8 weeks are designed to correct problems, according to user complaints. Annual upgrades are also planned, with new gameplay and additions to the teams. The graphics will also receive attention, with the introduction of technology "Gen 3" from EA Sports, the same used in FIFA versions for PlayStation 3 and Xbox 360. This includes more realistic graphics, faithful reproduction of the face of athletes, improved artificial intelligence among other advantages.